Click the button below to add the Rock Shox RS1 ACS Solo Air 100 29 Suspension Fork to your wish list. Twenty-five years ago, RockShox revolutionized mountain biking with the RS-1 suspension fork. That model is back, but much has changed along the way on this top-notch cross country fork. 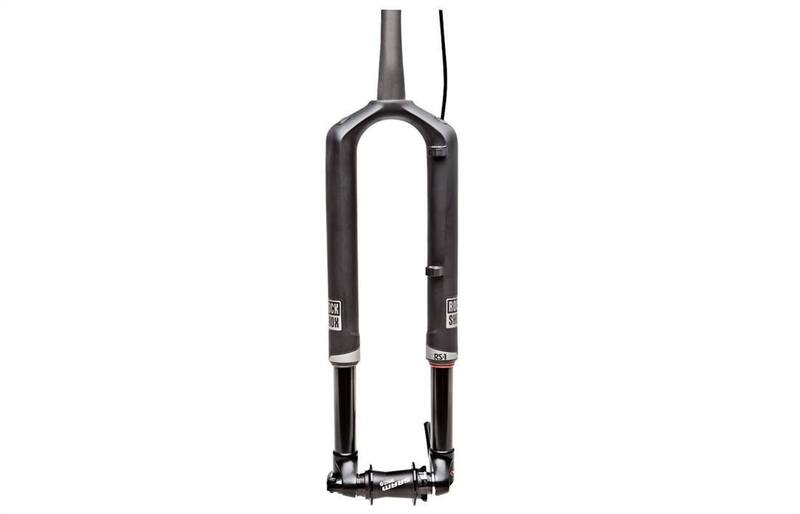 The RS-1 100 29 is a 29er-specific inverted fork, with 100 millimeters of travel. The fork's light weight make it a true XC-race contender, but it has the chops to handle trail riding, as well. But a light fork alone won't make for pleasant trail riding. The RS-1 uses all of RockShox's latest innovations to provide the ultimate control and power transfer. The company's Accelerator cartridge damping, Rapid Recovery system and Dig Valve compression combine to allow the fork to quickly rebound from successive forces, whether big hits or small bumps, keeping your wheel locked to the ground and you in control. The XLoc Sprint remote hydraulic lockout is push-button simple – all-out climbing and sprints to the line are a finger press away. The Solo Air spring is the lightest air spring available, and they're super easy to set up. Pumping air through one Schrader valve dials in both the positive and negative air chambers simultaneously. And RockShox prints Sag Gradients right on the RS-1's upper tubes and shock damper bodies, allowing you to quickly and easily fine-tune your ride.